Happy to be celebrating our fourth year in La Mesa - come grill a steak or enjoy a prepared meal if you don't feel like grilling! We offer live music anywhere from 5-7 times a week in the Turquoise Room, and the shows are always free! Great happy hour from 4-6pm every day, and from 9-close on Sunday-Thursday! We take reservations for parties of 6 or more people, and all ages are welcome in our dining room. Check out our website for more info about our special meal nights and all other info. 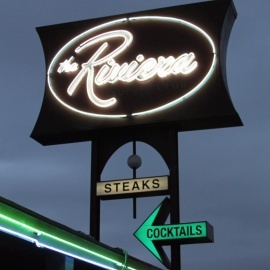 La Mesa’s DIY Steakhouse & bar brings you outstanding Choice steaks, deluxe side dishes and desserts, and strong,classic cocktails that will make Riviera your favorite. 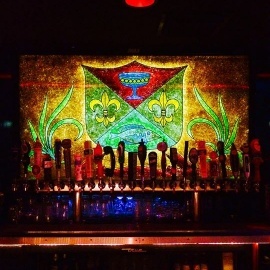 The Turquoise Room is open late and ready to serve up your favorite drinks and tunes!